Beavers Supermarket stands as the last remaining locally owned and operated full service grocery store in Ft. Collins. Don Beavers started it all in Fairmont, Nebraska in 1946. Don's son Doug grew up working in the store where he learned all about the business, and went on to buy his own store in Grand Junction, Colorado in 1975. In 1976 Doug caught wind of an opportunity to buy a store near downtown Ft. Collins on the Northwest corner of Mountain Ave. and Shields St. Doug and his wife, Cheryl decided to sell the Grand Junction store and try their luck at this Ft. Collins location. The decision turned out to be the right one, as the store continues to compete with the big chain stores of today by providing great prices, friendly service, and unmatched convenience. 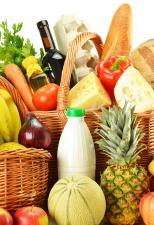 The grocery market of today can be a tough place for small family owned businesses. Huge corporate chains have all but taken over the smaller, community-oriented stores. The only way to survive is with large volume and warehouse efficiency, and Beavers achieves this by being a member of a co-operative distribution center called Associated Warehouse Grocers. AWG is owned by its members, and collectively these smaller businesses can buy enough volume to keep their prices competitive. Combine this with Beavers great location and an emphasis on fast and friendly customer service, and you have a great place to buy your groceries. At Beavers you will find most anything you need, and if we don't have it we can usually get it - just ask. We carry many locally made products, specialty foods, natural and organic foods, and more. Our meat department is of the highest quality you will find anywhere with a full time butcher who still knows how to do things the old fashioned way, carrying USDA choice cuts and many flavors of our very own homemade sausage. So if you're tired of feeling lost in the giant stores and want to support your local economy in a very real way, come on over to Beavers where you will find smiling faces that really want to help and treat you like a friend and a neighbor, as they have for over half a century.